Revolutionary leader Nelson Mandela – known by his tribe as Madiba – would have been 100 this month. 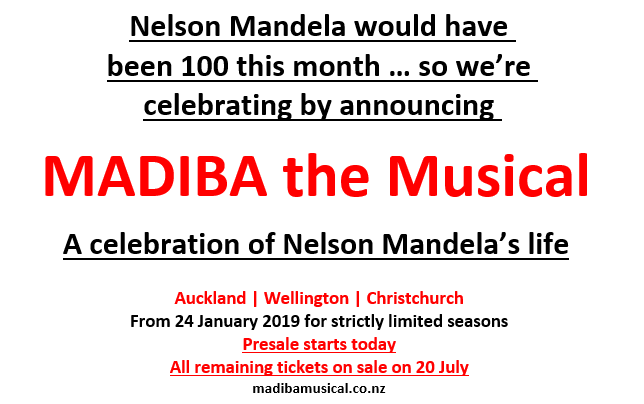 In celebration of his birthday and his legacy, a compelling new stage show Madiba the Musical - a Celebration of Nelson Mandela is today announced for New Zealand. “There are no languages that are more universal than music and dancing to reconcile nations, cultures, religions and generations,” the show’s creators said. Shortly after Mandela’s death in 2013, his Xhosa clan name Madiba emerged worldwide in condolences. 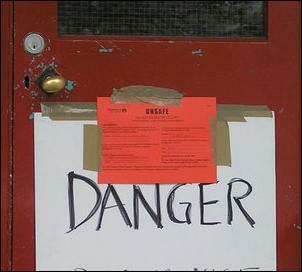 The clan or family name represents a person’s ancestry and is used as a sign of respect and affection. Mandela, a Nobel Peace Prize laureate, spent 27 years in prison for fighting racist white rule and became South Africa’s first black president in 1994, serving one five-year term. Director of the current French production Pierre-Yves Duchesne says he has incorporated modern stage technology in Madiba The Musical, with the animated sketchbook images of the young artist character to be projected on to the stage screen backdrop. “Nelson Mandela’s vision of the world was truly turned towards the future, and that is why the stage direction must look towards modernity,” Duchesne said. French reviews have praised the production’s staging and describe Madiba The Musical as “a powerful and generous work”, “the essence of a fight for humanity” and “a show that touches our hearts”.